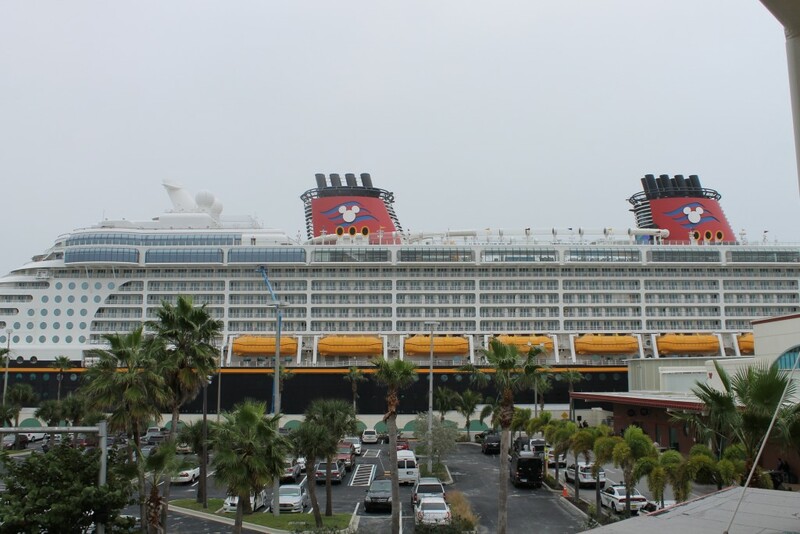 Going on a Disney Cruise Again! We’re about to set sail on the Disney Wonder for the second time and couldn’t be more excited! We sailed on the Wonder way back in the fall of 2010! It was actually our first cruise so we have MANY fond memories of the boat. Then, you finally get into the port and you can see the ship. Right there in front of you. It’s the ship! It’s the ship! The real bouncing in the seat happens at this point – even when you’re a cruise veteran. This just kinda sums up all the feels. We can’t wait to have all those feels again in just a few short weeks!! 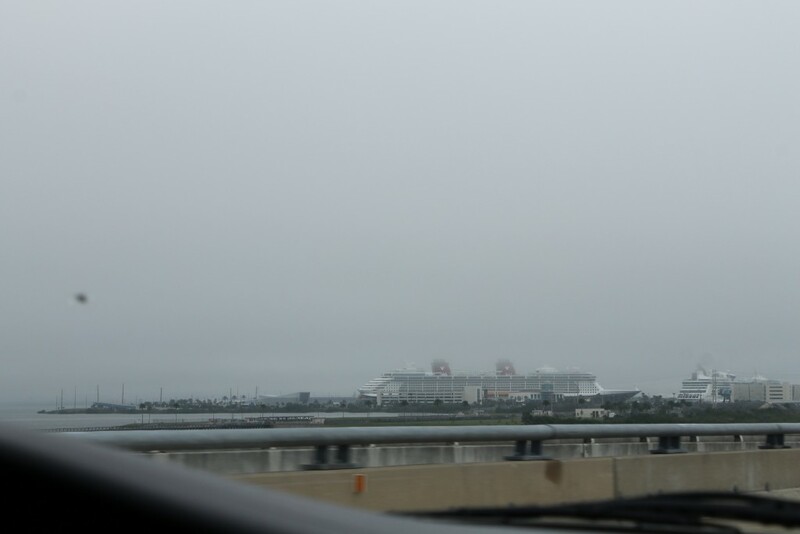 This time, we’re actually sailing out of Miami, but I’m sure the experience will be similar to the last time we were on the Dream (thus the pictures) out of Port Canaveral. We’re excited to try a different port and are going to be documenting our journey to share with all of you. Maggie has visions of a House of Hills YouTube channel dancing in her head. Because we’re going back on a small ship that we haven’t been on in awhile, we’ll be experience some things as if they’re all new again. For those of you that have been on the Wonder recently, what’s one thing we shouldn’t miss? And, for those of you that haven’t sailed the Wonder (or any Disney ship), what would you like us to investigate and report back on? We can’t wait to enjoy FIVE NIGHTS on the Disney Wonder together as a family. 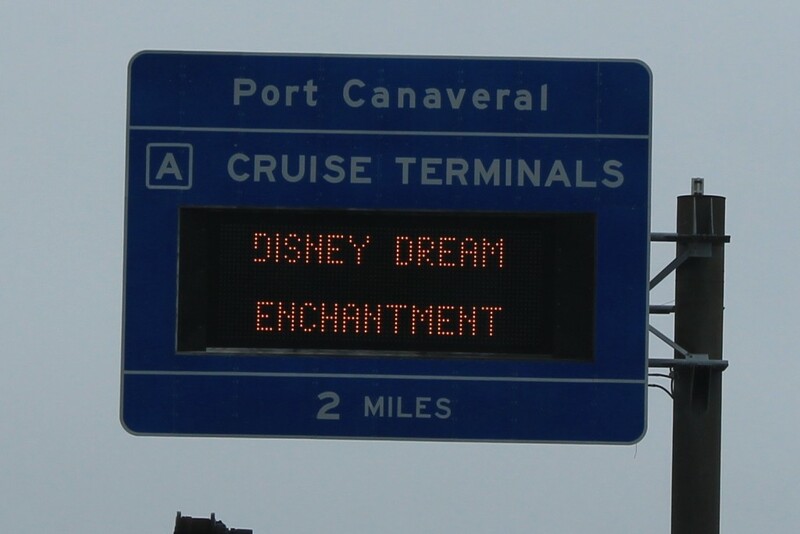 Disney Cruises truly are our favorite form of vacation! Happy Spring Break to us! WDW Moms Panel : I Applied! Well, I did it. I applied for the Walt Disney World Moms Panel. took me to Walt Disney World on my honeymoon it’s been a special place for our family. our evenings and weekends can often revolve around our love of Disney. And, we love to share it with our friends and family. And, I love to share it with you. Have you noticed the Disney tab at the top of the House of Hills page. I put that there so you could see all our Disney related posts to help you plan your vacation. And, I have lots more posts in my head. In fact, all I really need to do is go through my emails. I answer questions weekly about Disney, and my plan is to start being more intentional about sharing those answers with you. If I make it to the next round of the Disney Moms Panel, I’ll be ecstatic. If I don’t, I’ll just share my knowledge here – with you. 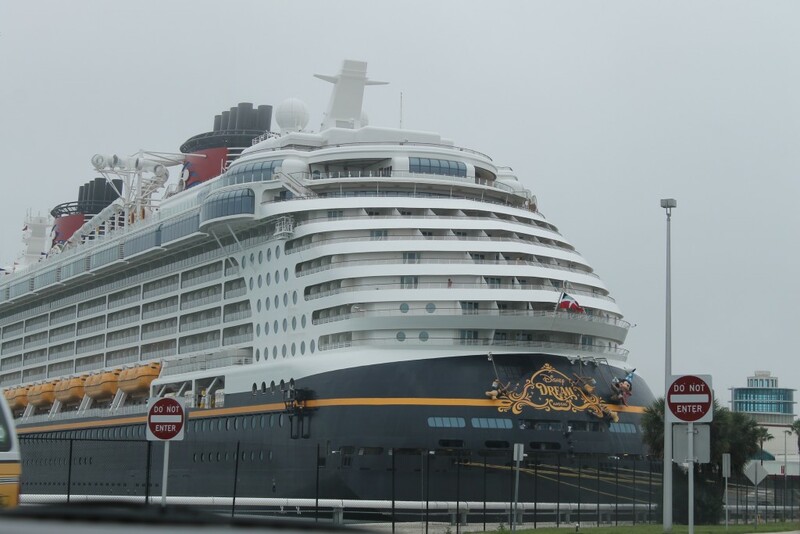 If you’ve got a question about traveling to Walt Disney World or going on a Disney Cruise, I’d love to answer it for you. Let me know what you want to know! This is an important sign friends. There is a similar one in all Disney parks. And, these spots are clearly marked on every park map. Take a minute to see where it is. Because you never know when you’re going to need it. Let’s talk about the First Aid Center well, first. Yes, I’ve visited the one at Magic Kingdom. Several times. Yes, I keep a small first aid kit in my Disney backpack. However, when your child wipes out as you’re getting on the bus and takes the skin off her ENTIRE knee, you need a LARGE bandage, not a little band-aid. The First Aid Center folks kindly gave us a bandage and offered to help us if we needed anything else. They carry basic over the counter medications and can help you find medical attention if you’ve got more than a small boo-boo. If you are having a medical emergency while in one of the parks, contact the closest Cast Member, and they will assist you. Seriously, they’re trained for that. Now, let’s talk about one of my favorite places in all the parks, the Baby Care Center. Oh My. Word. 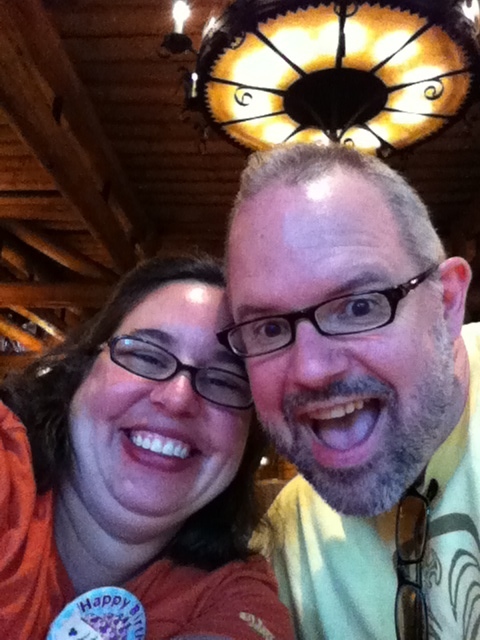 They are an oasis in the intensity that is a visit to Disney. We discovered them on our first trip with the Princess when she was just three months old. 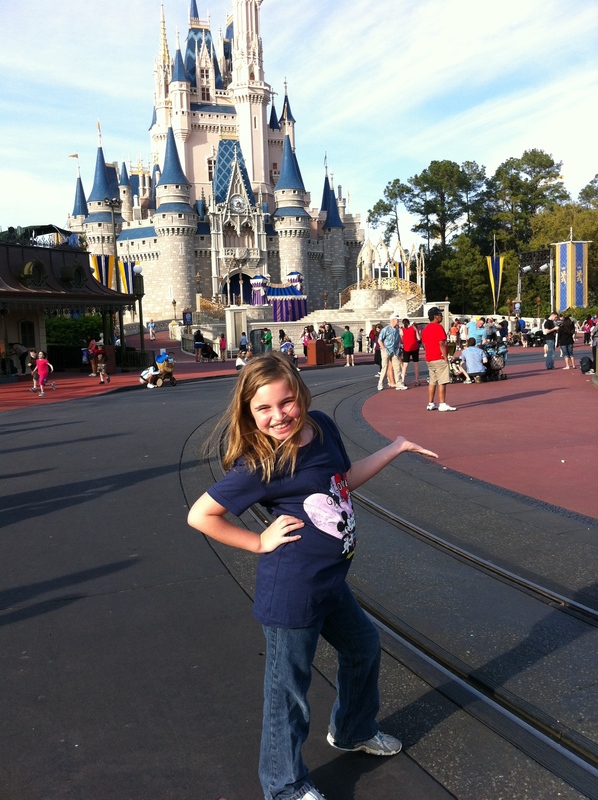 We were in the Magic Kingdom and realized we had dressed her WAY to warmly. A quick duck into the shops on Main Street and we were the proud owners of a summery Mini Mouse outfit. Then, we had to find somewhere to change her. We were directed to the Baby Care Center just up the road right near the Crystal Palace Restaurant. We went in and found this massive group of rooms. It was WONDERFUL! They had a huge room with multiple changing tables. There was a dimly lit room with rockers for breast-feeding (or bottle feeding) mommies. There was room with small tables and a television – a space for toddlers to relax, eat lunch, or just cool off and decompress from the outside craziness. There were loving Cast Members who offered help to tired and overwhelmed mommies (and daddies). Like I said, WONDERFUL. We’ve visited the Baby Care Centers regularly over the years. Once the Princess was out of diapers, we were potty training and of course had some accidents. It was much easier and calmer to go deal with that at the Baby Care Center than in a regular bathroom stall. The last time we visited was two years ago because the Princess had a really upset tummy caused by the ridiculous food she’d been eating. (What parent allows their child to exist on nuggets and popcorn? Oh, that would be me.) We discovered then that they have a mini-pharmacy in there and will gladly sell you anything from children’s Tums to a pack of diapers or wipes. We love the Baby Care Centers and can’t say enough about their amenities and their convenience. However, truly the best part of the centers are the Cast Members who work there. They are so patient and kind with both parents and kids. On several occasions, we’ve met up with some special friends in there too…characters dropping by to give the kids some love. 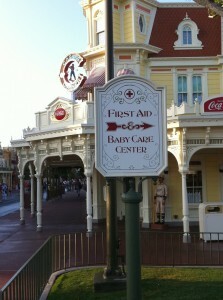 While they may not be a MUST SEE at Disney parks, the First Aid Center and the Baby Care Center are for sure a MUST KNOW. They can make your trip even more enjoyable by assisting you in a time of need. Linked to Things I Love Thursday, ’cause I love the Baby Care Centers. Disclosure: I was not compensated for this post in any way. I’m just a huge fan of these services at Disney. Everyone knows that the House of Hills LOVES us some Disney. 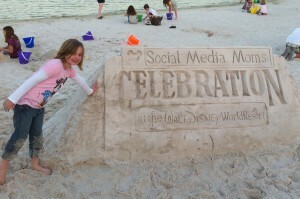 Our last trip was in March to the Disney Social Media Moms conference, and we’re already itching to go again. 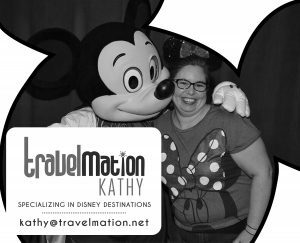 Because we are Disney “Freaks” and love to shout about it, we often get questions from friends and family about what to, how to, and when to do the Disney experience. It kinda makes sense for us to start answering some of them here on the blog. So, here we go. I got this tweet the other night. Now, this is a common question. If you stay “on property” – meaning any of the Disney World hotels – there are shuttle buses that will take you to all the parks. Pretty cool huh!? Pretty funny – right?! I mean, you’d think there would be a BEST way to do it. However, what we’ve discovered is that there isn’t a universal BEST. However, there is a BEST way for YOUR FAMILY. You have to figure out what that is. We don’t have to wait for a bus either at the hotel or the park. We have a child who can no longer be carried once she falls asleep. My Sweetie can drop us off near the hotel room and then go park the car. Parking is FREE for on property hotel guests. You just need to make sure your hotel parking pass is displayed. We drive to Orlando and therefore have a car there. We can go wherever we want from wherever we want and don’t have to “work” the transportation system to get there as you might have to do with the buses if going to a different resort for a meal or show. The buses run to every park all the time – from well before the park opens until well after it closes. They flew to Orlando and don’t have a car. They have children who can either be carried when they fall asleep (and it’s a relief not to have to deal with the car seat) OR are big enough that they can pretty much take care of themselves. There are pros and cons to both choices. It’s something that you need to think through for your family. I dare say if you have a car in Orlando, you could try it both ways and then go with the one that works best for you. If you’ve been to Disney World, what do you do? Drive or take the bus? 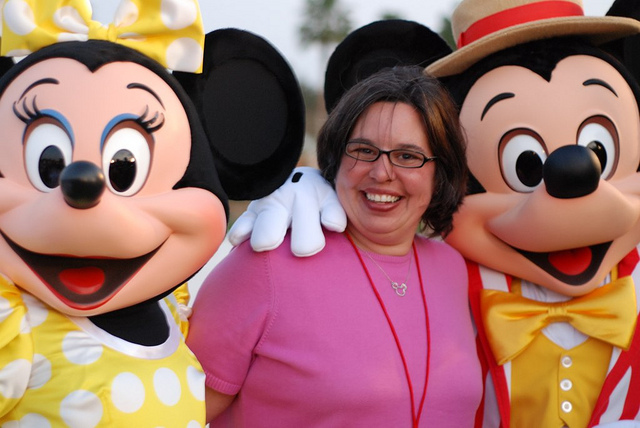 My sweet friend, OhAmanda, took this of me our first night of Disney Social Media Moms. Looks like I’m having fun, huh? Day three of the conference started REALLY early for this Mama! We had been up late the night before and I was the ONLY one of the House of Hills up for breakfast. However, it was a great breakfast where I was able to hear the Head Chef from the California Grill and the Chief Sommelier from Animal Kingdom Lodge discuss Disney Dining. 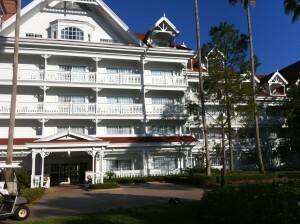 I walked around the Grand Floridian and took some pictures. Believe me, it deserves its own post, but here’s one pic. After waking my child up at 10:45!!!! 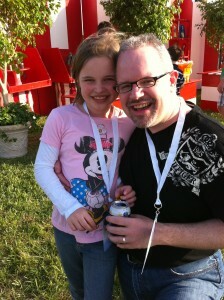 and grabbing some lunch, we headed over to Epcot as a family. The Princess spent a great deal of time in Innoventions. 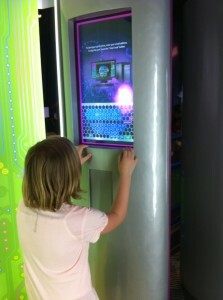 She LOVES all the science techy stuff. She also did one round of the Kim Possible game. That too deserves its own post. It is SO MUCH FUN for the entire family. We’ve played it before, but she wanted to do one round this trip. I left the family and went to a press conference for Disney’s Magic of Healthy Living. This is an awesome program that I will be talking about more in the weeks to come. 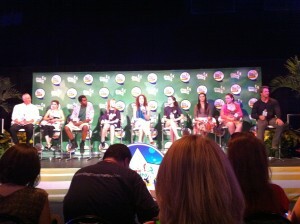 I was able to attend a press conference with some Disney Channel stars (with whom the Princess was later able to dance)! After a very yummy (and healthy) dinner, we went to a dessert buffet (also healthier) and to watch Illuminations from the BEST SPOT EVER! We then said good-bye to many of the Disney Mommy Friends and headed back to the Grand Floridian for our final night in paradise. Oh, we did stay two more days. Monday we hit Typhoon Lagoon. It was actually our FIRST WATERPARK as a family. OH. MY. WORD. We had the best time. Except for the fact that I bruised my tailbone. Gotta lift your booty on the water coaster folks. Gotta lift that booty. Disclosure: My family and I were given accommodations and park tickets at a reduced rate as part of the conference. 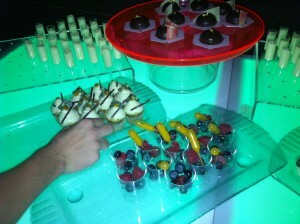 In addition, Disney has treated us as wonderful guests complete with special surprises. All opinions are my very own. 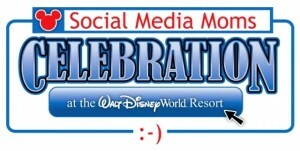 I’m currently at the Disney Social Media Moms Celebration learning tons about blogging and hanging with my family at the parks. 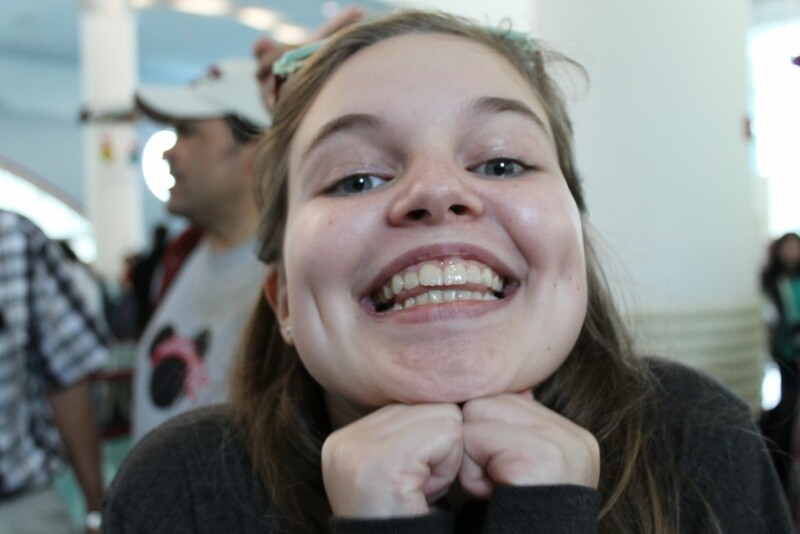 While I’m MIA, I thought it would be fun to share some Disney tips I’ve learned over the years. I’ll be coming home with even more! I’ve told you before about the backpacks I take to Disney. Yes, I said backpacks… as in plural. One for daily in the park and one for days when it might rain. Because it rains in Florida – often – even at Disney. The photo above is from a day that the entire House of Hills was thankful for the rain gear backpack. It was POURING at Animal Kingdom. 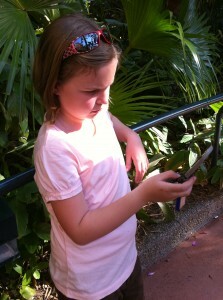 Have you been to Animal Kingdom? There aren’t many places to hide there. We just had to walk in it. Did I mention it was POURING!! However, we stayed dry wherever we were covered with the rain gear I had in my handy backpack. And, when it stopped pouring, we were happy for dry socks. Raincoat/Poncho for each person. 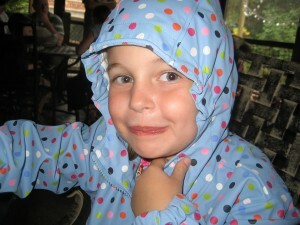 The Princess has always had a Lands End raincoat, and I can’t overemphasize how AWESOME they are! Multiple gallon baggies – I use these to put things in that I don’t want to get wet. The phone and wallet that are in my pocket usually get put in a baggie. The Princess’ autograph book gets put in a baggie, etc. Now, I do NOT recommend carrying this backpack EVERY day you are at Disney. I highly recommend it when it looks like it’s going to rain. How do you stay dry when you’re hanging with the Mouse (or on any other outdoor adventure…although why you would want to be any place besides Disney is beyond me)? Disclosure: All opinions are my own. Day two at the Disney Social Media Moms Celebration was spent in the conference center with some AMAZING speakers, learning, entertainment, and prizes. I took tons of notes and will share them with you later. But, be honest. What you really want are some pictures. This is actually from Day 1, but didn’t make it up yesterday. This is also from Day 1. I was SO BLESSED to have my family with me for the trip. It was truly magical to share the time with them. All prepared for a day of learning. And OH MY! did we learn! More of what I learned in posts to come. The stage for our speakers. 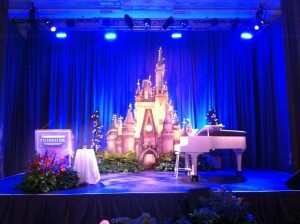 Yes, the piano was used in the afternoon by Georgia Stitt as she played and sang with Susan Egan. AMAZING women! 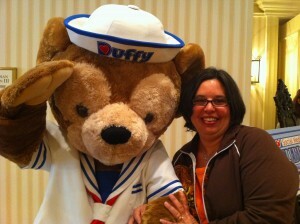 Duffy the Bear was there when we returned from lunch. We also received a stuffed Duffy, which my Princess was VERY excited about. 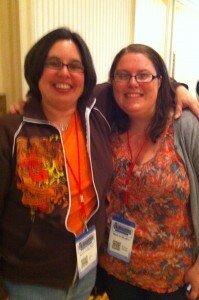 I hung out for a brief moment with Sippy Cup Mom who is one of my favorite Twitter friends, now Real Life friends. 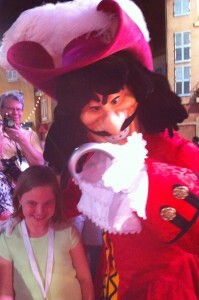 The Princess with Captain Hook at the Disney Junior party. 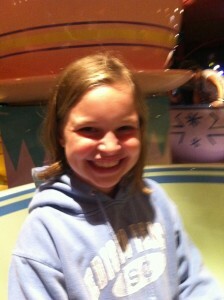 The Princess on the tea cups at like midnight. It was a LATE night! 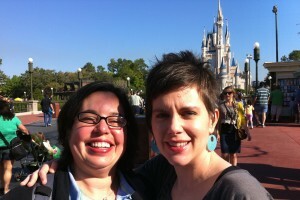 We started our AMAZING Disney Social Media Moms celebration with some GREAT family fun at Magic Kingdom. 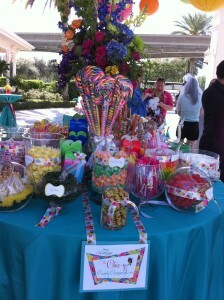 Then, I was able to attend a press event for the 20th Anniversary of Disney Weddings. 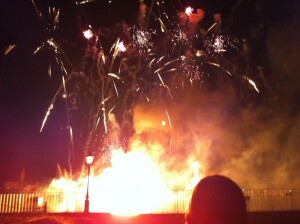 (I TOTALLY want to renew my vows at Disney now.) 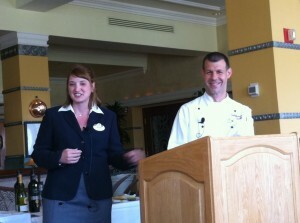 Finally, we were treated to a FABULOUS family dinner and fun on the Grand Floridian lawn. I’ll go into more detail when I get home, but I know you want to see some pics. 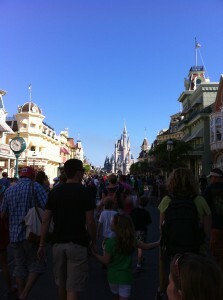 After checking into our hotel, we headed to Magic Kingdom. It is CROWDED this time of year. One of the reasons we’ve never been in March. It’s still FUN though! We ran into Ohamanda right inside MK. We stopped for a quick pic and then she and her hubby were off to park hop. The view outside our balcony. 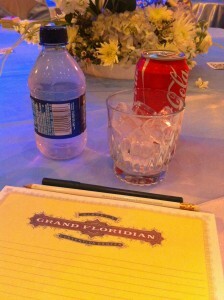 We’re at the Grand Floridian. Yes, I’m getting spoiled. 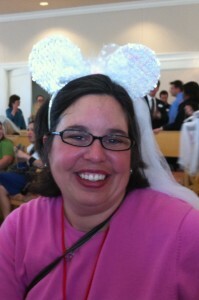 All the ladies received fun “Bride Mickey Ears.” I’m wearing mine proudly. 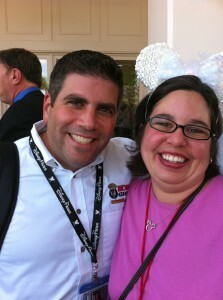 I was so excited to meet Lou from WDW Radio. My Sweetie LOVES his podcasts and videos, and I got my picture taken with him JUST so I could text it to my hubby. SO fun. Those are just a FEW of the pictures I took. More to come in the days (and perhaps weeks) to follow! WOW! We had some serious traffic on the blog yesterday! Everybody wanted to see how we were telling the Princess we were going to Disney World for the Social Media Moms Celebration. If you missed it, we made a video telling the Princess SURPRISE and explaining what was going on. She was ABSOLUTELY surprised. When I picked her up at school, she was complaining that she didn’t feel good. Her tummy hurt. She felt achy. I was seriously trying not to panic. We’ve had a rough winter, and it seems she’s only well for like three weeks at a time. We’re nearing the end of the three weeks. Now, those of you that don’t know my child might think that’s not much of a reaction. Those of you that do will know that the grinning from ear to ear and eyes shifting back and forth is pure joy and excitement while her brain tries to adjust her entire week’s schedule to the fact that we are going out of town. (She gets that from her mama.) She was THRILLED. She was EXCITED. She was SURPRISED. After the being overwhelmed wore off, she started to get really excited and by the time we hit the FL state line was giddy. Interestingly, she’s been much more appreciative this trip than any other one. She’s been here at least nine times – always in the fall. It seems that changing it up has made her realize it truly is a gift and blessing to be able to come. 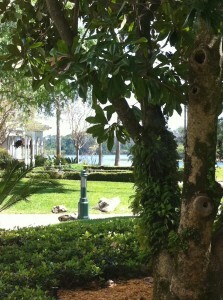 And it is SUCH a blessing to be at Disney for this conference. I can’t wait to see what they have in store for us! I’ve got some posts lined up as I don’t know how much time I’ll have to actually blog while I’m here. I’ll be sure to take lots of pictures and share them with you when I can! If you twitter, be sure to follow me (kathill).